Despite living in a first world country, our drinking water may not always be safe. Did you know though that you can test the safety of your water from your own home? 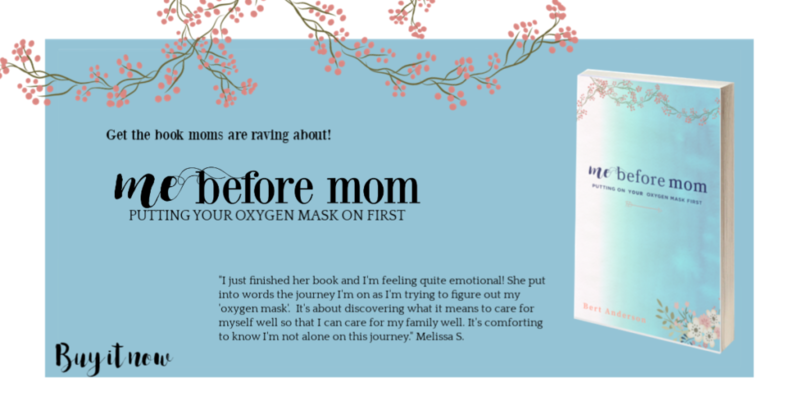 Learn more about this great new product, which you can find at my husband’s favorite store, Menards in the press release below! It’s easy and convenient to gain confidence in drinking water quality for healthy, active lifestyles. Madison, IN (January 8, 2019)— As water is a basic daily requirement, health concerns about clean drinking water have Americans turning to bottled water in order to assure they are drinking clean and safe water. According to the Beverage Daily, bottled water is now the number one drink, growing 7% in 2017 for a total of 13.7 billion gallons per year. [i] Yet it is questionable whether bottled water is safer or healthier than tap water. [ii] In fact, tap water is tested under EPA regulations and bottled water is regulated by the FDA. [iii] The USEPA requires cities to test their water supplies regularly, for contaminants. With an active, on-the-go lifestyle, it is essential to trust that drinking water is safe and meets health standards. To know what is in your water, the surest and safest way is to test it. EnviroTestKits® (ETK is a Division of Environmental Laboratories, Inc.) issues peace of mind to us all by testing the quality of water (city water, well water or bottled water) with a platform of Do-It-Yourself water quality test kits under the brand name of, Safe Home®. These kits provide immediate test results, regarding the quality of your drinking water. 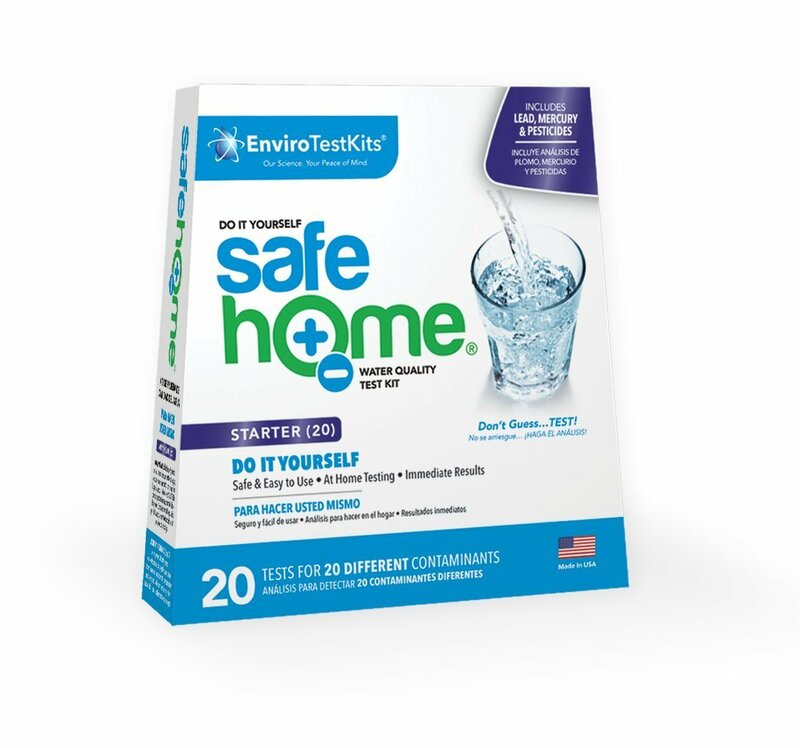 Safe Home® offers two platforms of test kits: YOU DO IT – DIY Testing, allowing the homeowner to conduct the tests and THEY DO IT – Laboratory Testing performed at Safe Home’s EPA Certified Drinking Water Testing Lab. Most of the Safe Home Lab Test Kits provide Free Return Shipping of your water sample to their laboratory and all Lab Test Kits are supported by an easy to understand lab report. This report is sent by email to the customer, after testing is completed. 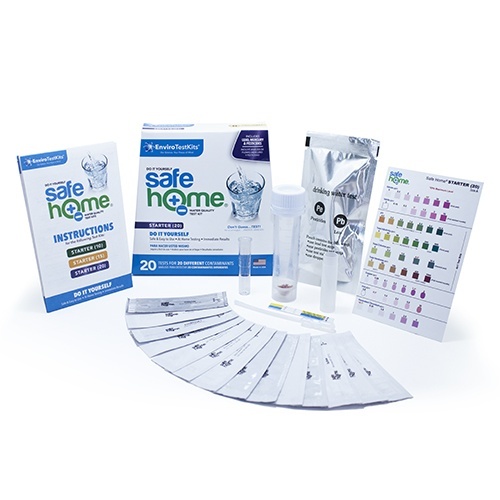 Safe Home® DIY Starter Kits are one of the most comprehensive test kits for a wide range of contaminants in drinking water – (Metals such as Lead, Physical Properties like Hardness, In-Organics such as Nitrate and Organics like Pesticides). The kits come in a variety of options, ranging from testing for 1 contaminant all the way to 20 unique contaminants. Now, one can take control and be confident of what’s in their drinking water. By ordering a box (or two!) of Safe Home® DIY Test Kits, you are equipped to test regularly (every 3 months or after heavy rain-falls or during drought conditions or when traveling). The test types range in simple test-strips and include helpful color-charts. Most tests also outline the USEPA’s limits for the respective, contaminant being tested. Figuring out how to meet our daily water requirements for good health, testing our tap water not only assures we have cleaner and safer water to drink, but is better for the environment as well. With Safe Home® water quality test kits, you can be sure about the safety of your drinking water. It gives you confidence to refill the water bottle at home and reduce plastic use from single-use water bottles. You can trust that your water for on-the-go lifestyle, is easier, more environmentally friendly, and safe to drink. The employees who produce Safe Home® products, want individuals to know what’s in their potable water supplies – (water used for drinking, bathing, and cooking). Knowledge is a powerful tool. 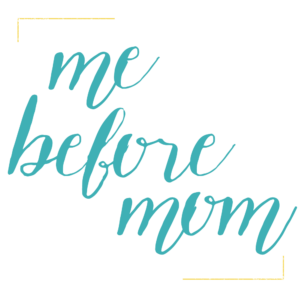 Knowledge comes from information, and information to make informed decisions about protecting our families comes from testing. Start trusting your water again, with the easy, accurate, affordable, and convenient Safe Home® Test Kits today. Don’t guess… test™! Environmental Laboratories, Inc. ® (ELI) of Madison, IN was founded in 1982 by Chris Myers, who holds a BS degree with a double major in Chemistry and Biology from Indiana University. Myers has been an Environmental Scientist since 1977. Myers opened a new Division in 2010 under the ELI umbrella – EnviroTestKits®, which designs and distributes drinking water test kits under the brand name of Safe Home®. 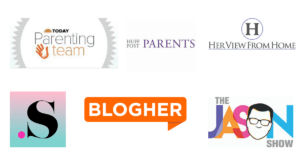 There are more than twenty different test kits, under the Safe Home® brand. These kits are divided into two platforms: Do-It-Yourself Testing (Homeowner performs the tests) and Certified Laboratory Testing (EPA Certified Lab performs the tests). ELI has more than 50 employees and has grown to be one of the Midwest’s largest, drinking water testing laboratories. A team of more than 20 scientists with more than 150 years of combined experience in testing drinking water, continues to evolve and support the Safe Home brand. In their mission to make a difference in people’s lives through science, ELI donates to schools, service organizations, youth athletics, churches/missionary programs, and community development events. Environmental Laboratories and their new Safe Home® brand of products have won numerous awards on a local, state, and national level. Mr. Myers actively participates in public speaking opportunities across the USA.